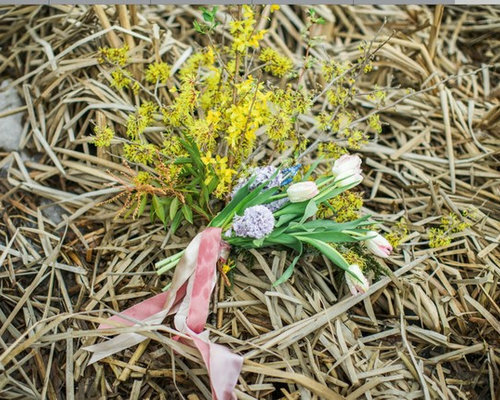 Jump-start spring: Many flowering shrubs and trees are suitable for indoor forcing. 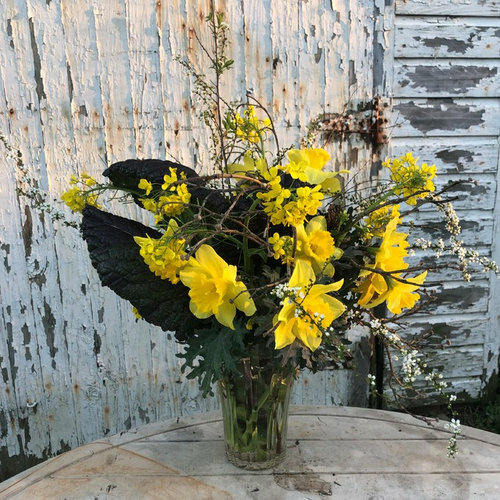 You can cut the bare branches of forsythia, quince, witch hazel, magnolia, and numerous flowering fruit trees. 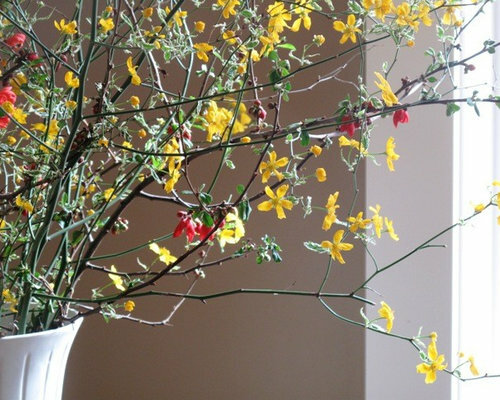 Harvest branches when their buds begin to swell, taking care to use proper pruning techniques. 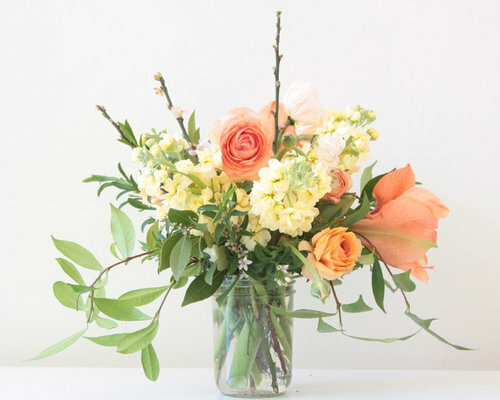 Re-cut the stems on a 45-degree angle and place them in a vase of clean water. 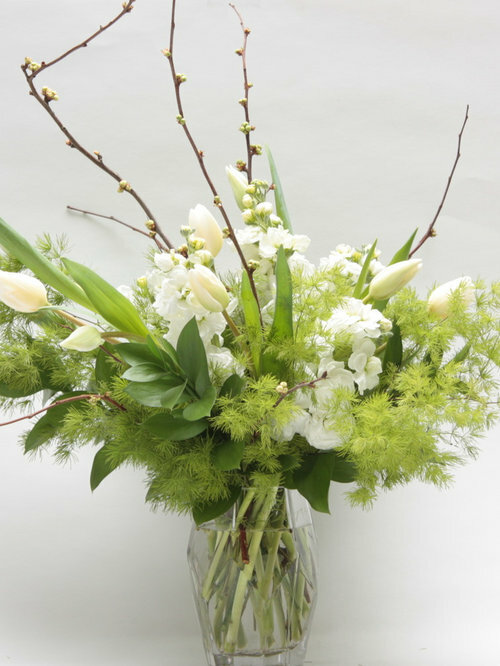 Over time, the buds will respond to interior temperatures and begin to flower. 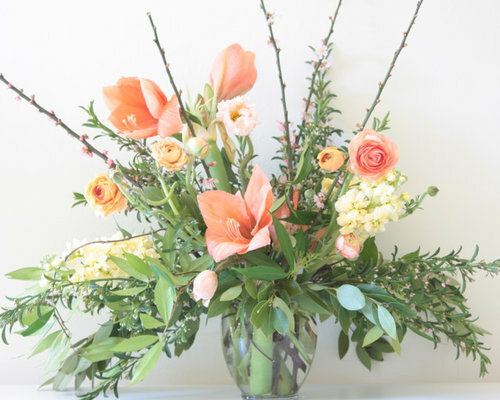 Be sure to change the water as you would with any floral arrangement. 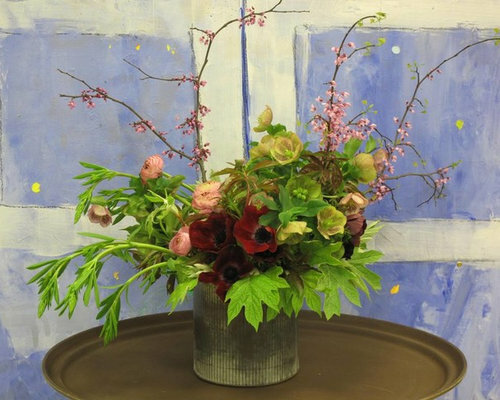 Some of the best branches for spring indoor forcing, excerpted from a photo shoot for BH&G. 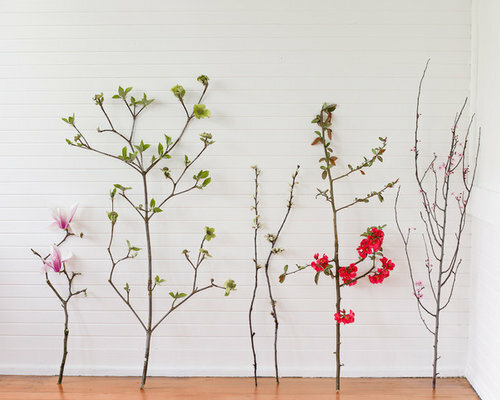 From left: Magnolia, Dhogwood, Cherry, Quince & Plum. 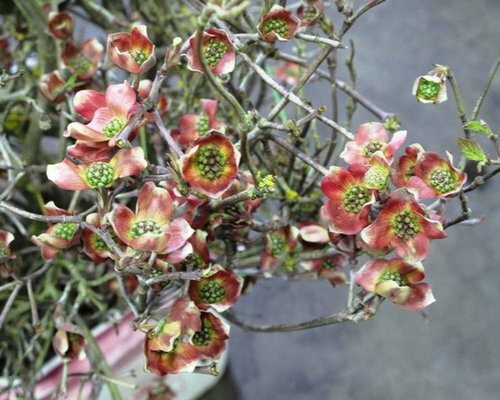 Some of the best branches for spring indoor forcing, excerpted from a photo shoot for BH&G. 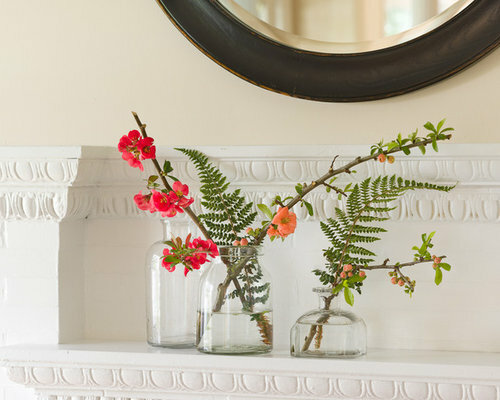 Native fern pairs beautifully with quince, arranged in a few jars. 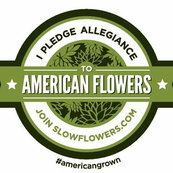 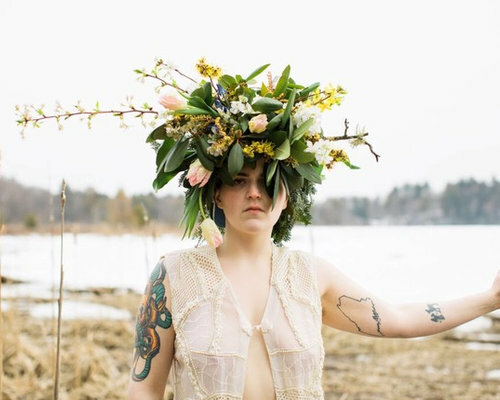 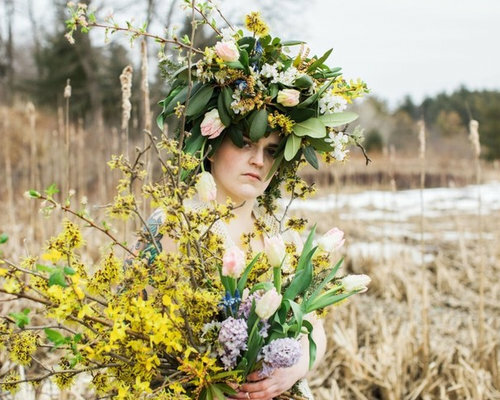 Foraged and designed by Melinda K. Dorn, Simon Says Grow. 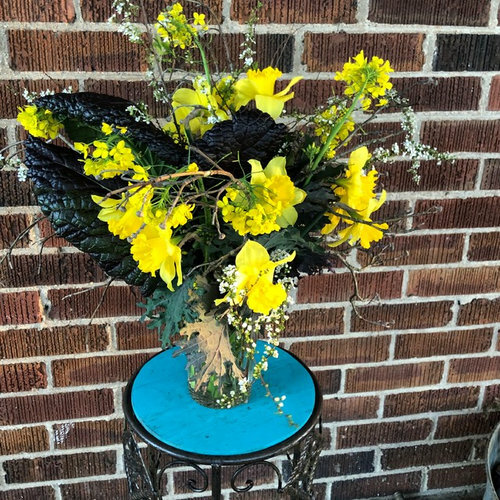 Featuring foraged branches, Daffodils, dark leaved lettuce and flowers from a Bok Choy that went to seed.